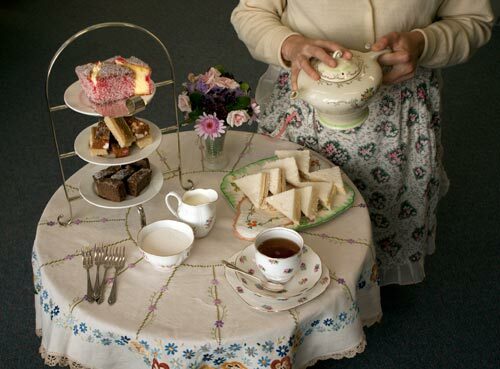 Entertaining other women at morning and afternoon tea was an opportunity for the hostess to show off not just her baking skills, but her best china, silverware and hand-embroidered cloths and aprons. Such items as tea and sandwich cloths, cake stands, cake forks and fancy teaspoons were carefully stored and used only on special occasions. Like the baking itself, which required considerable skill and artistry to produce, these items were best appreciated by a discerning audience.